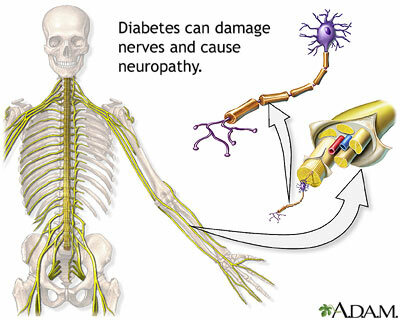 Diabetes can damage the nerves and cause a complication called neuropathy. This generally begins as loss of sensation in the toes, and possibly fingers. Eventually, the neuropathy can move up the person's legs or arms.